Santorini is essentially a former volcano invaded by the sea. From the whitewashed villages, over the blue rooftops, to the stunning Aegean sea, Santorini often appears in lists of the best islands in the world to visit. 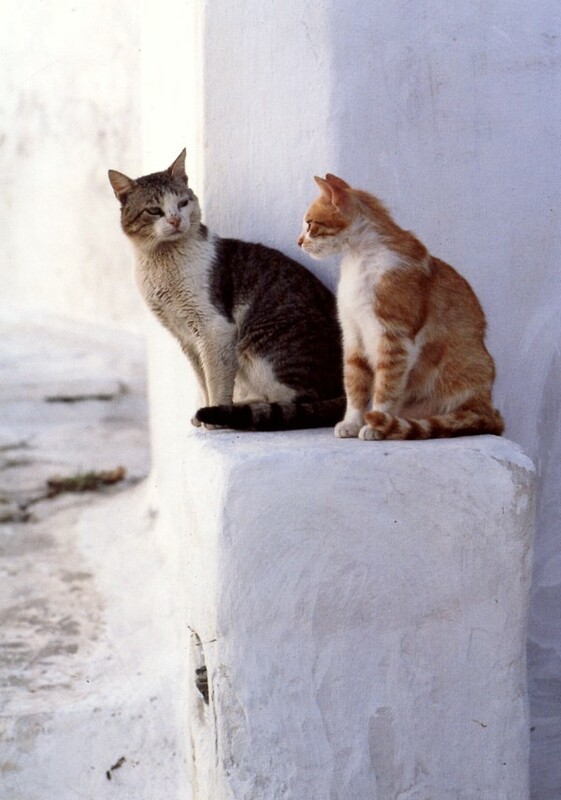 Like all the other Greek islands, this one too is the "home sweet home" of cats. 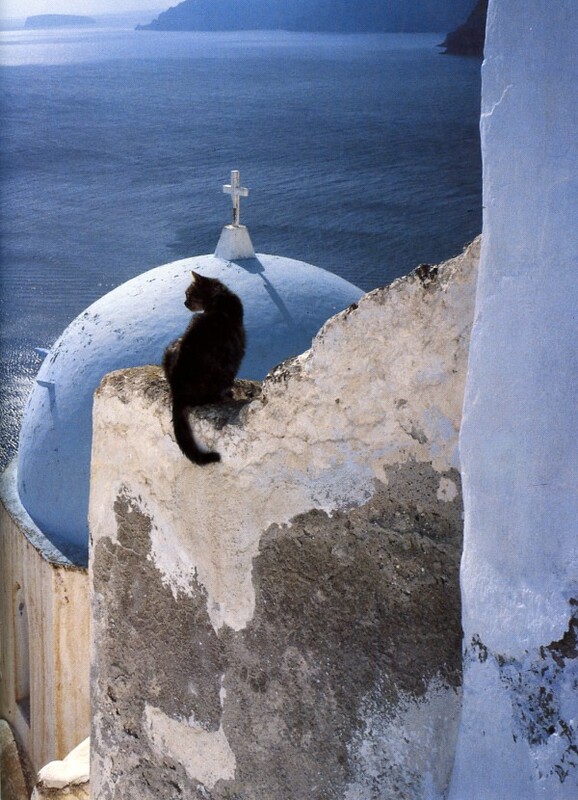 Hans Silvester, whose work has inspired many other photographers, spent more than three years traveling among the Greek islands in pursuit of images. 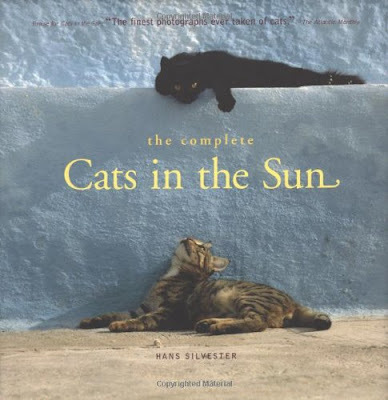 The result is a rich and beautiful portrait of Greek cats which he captured in Cats in the Sun, a beautiful volume that is part photography book, part travel book, and all about cats. 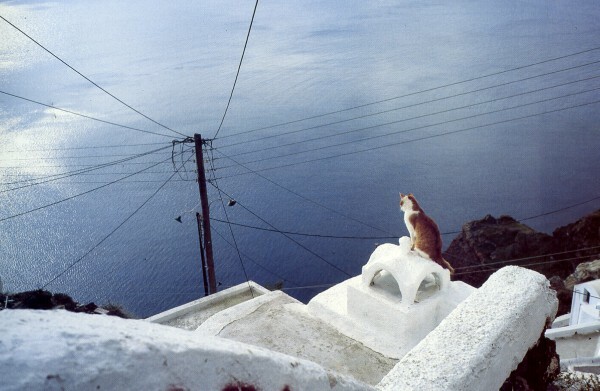 Below are some of Hans Silvester's pictures of cats in Oia, Santorini. 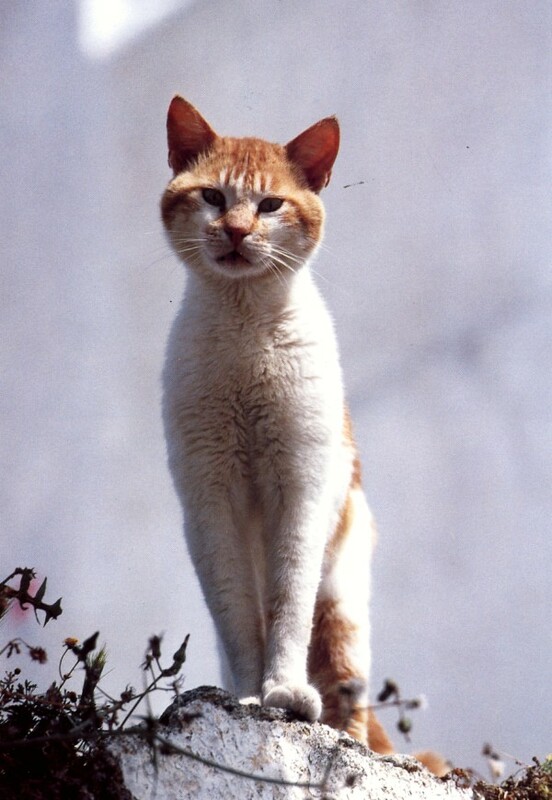 Some of these pictures are so cool like the black and white cat. He was lucky to get that picture. Some look good and others need some tlc I think. I should look for this book for my hubby who I saw a huge cat lover. They look gorgeous against the blue water. Oh I want that book. 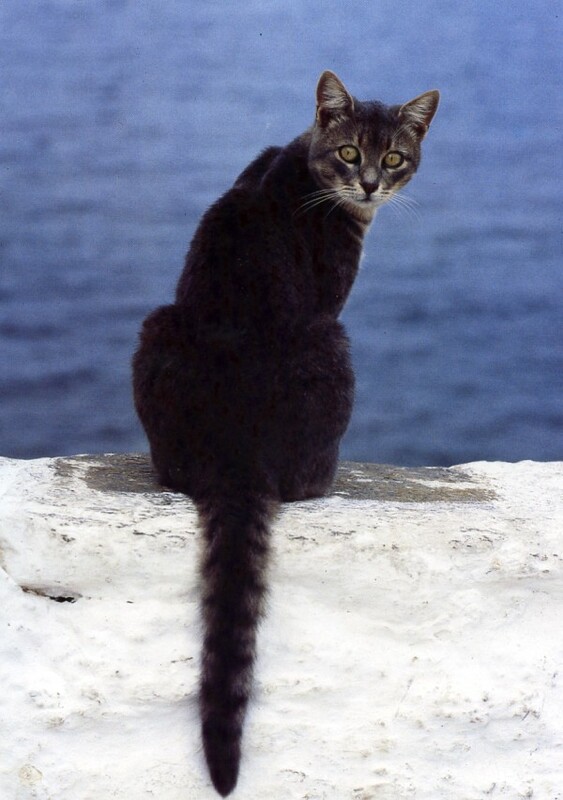 I have photographed a few cats in Santorini too. Such beautiful kitties! Love them all! Looks like a great book! 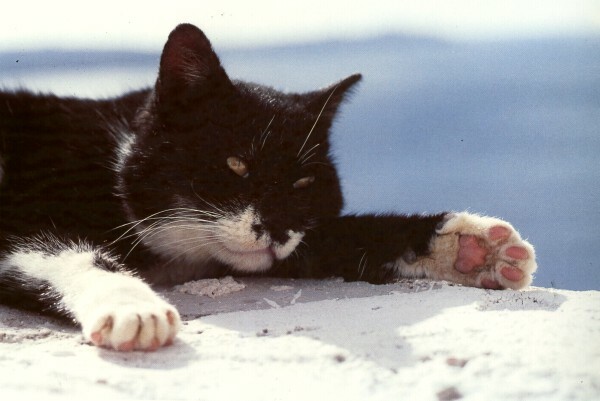 Love the black and white cat! 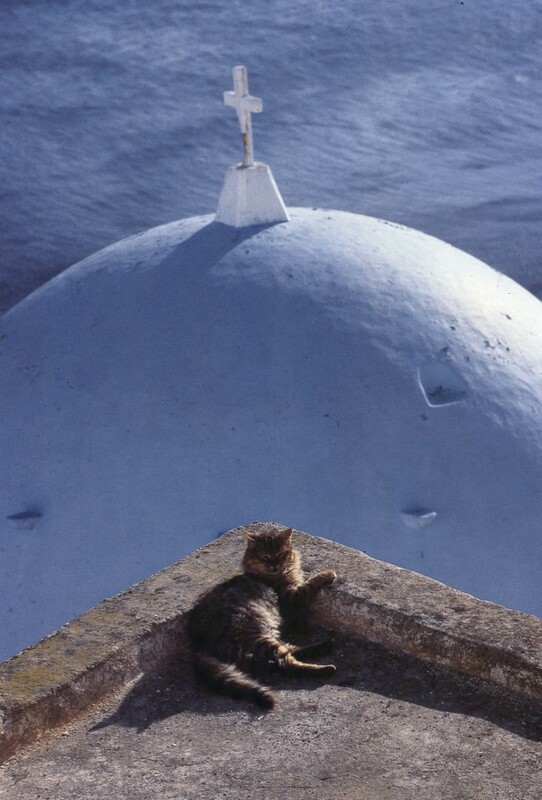 Great shots of the cats on the beautiful buildings. 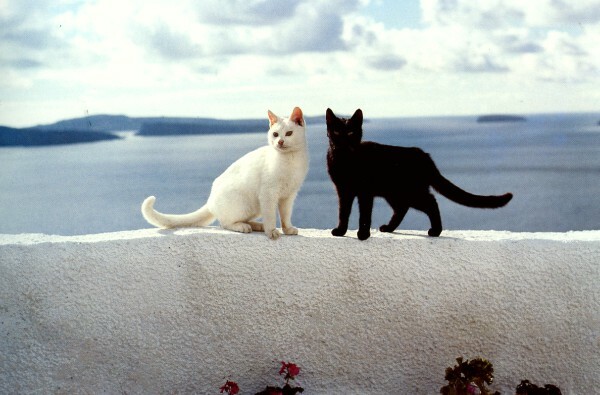 I remember fondly our trip to Santorini.. Stunning! beautiful cats, love the b&w cats. Marvelous images. I thought you had posted the best of the best in the first shot, but each one in wonderfully composed and beautiful in its own right! Beautiful pictures in one of the most beautiful places in the world. 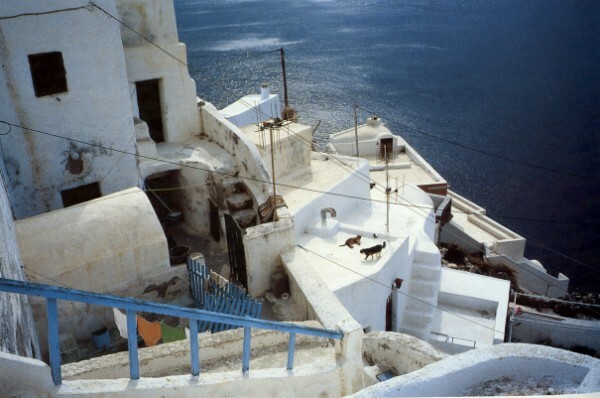 Santorini is definitively on my list of places to visit.